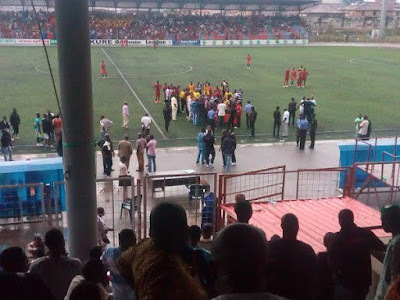 A match between home clubs, Sunshine Stars and Lobi Stars ended up inconclusive in Akure in Ondo state today after football enthusiasts alleged to be loyal to Sunshine Stars, stormed the football field and attacked the referee and other football officials for failing to award their preferred team two penalty kicks which they believed they deserved. Some others allege that the irate fans were of Lobi stars. 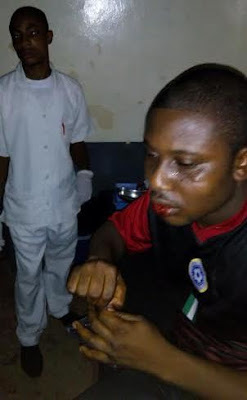 During the fracas which occurred in the field, the official camera man of Lobi stars was attacked, beaten to a pulp and his camera destroyed. 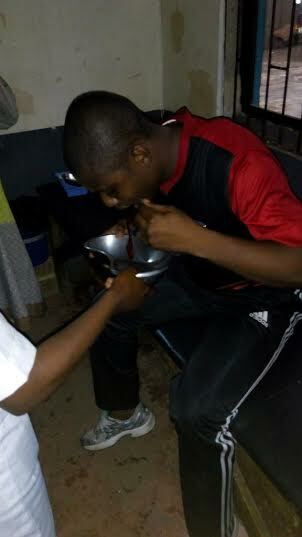 He was immediately rushed to the hospital. 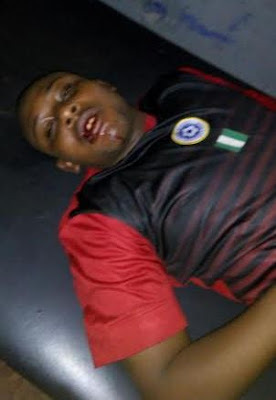 Lobi stars in its twitter handle accused the fans of Sunshine star of attacking them.